If you want to make sure you're doing everything you need to be doing in order to make the step up to the next level at your company, read this to see how to get a promotion in your marketing role. I’ve been in your shoes; a marketing professional with goals to hit and a boss bearing down on you. Hats off, it's a tough job (but extremely rewarding when you get it right). I now sit on the other side of the table. I started my own company a few years ago and can see the pressures that your boss (and their boss) is under. But that doesn't change the fact that you have your own pressures and desires too. Okay, maybe not that cheesy but it paints a picture. It doesn’t get enough leads. It fails to attract enough of the right leads. It can’t generate leads at a cost effective rate. But, if you want to earn that promotion, those are the pain points that you need to solve. 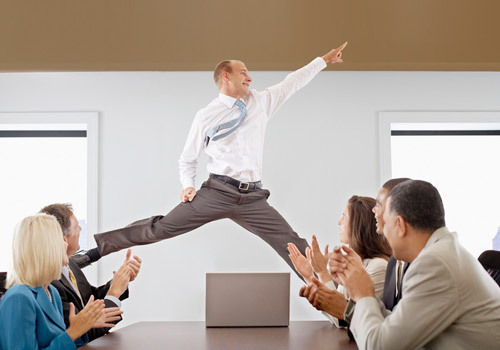 Solving those pain points is what will make you stand out as the company's marketing hero. I recommend it again and again but inbound marketing is the solution you are looking for. Adopt it in your business and you will never look back. You will have solved a major pain point and will be rewarded for it. For the uninitiated; full inbound marketing is a blend of all forms of digital marketing techniques (PPC, SEO, email, social, content), with the non-intrusive characteristics of native advertising. It centres on the fact that today's consumers (domestic or commercial) don't react to marketing in the ways they used to. Traditional adverts and campaigns get tuned out. People look for answers to their problems online, they want to consume helpful content before deciding whether to hire a company or purchase a product. Inbound marketing helps to put your company into a person's decision making process. It's kind of a more tactful alternative to spending large sums on outward, traditional advertising techniques which now get ignored 99% of the time. It isn’t easy though, it’s hard work. We wrote a blog about getting started and what’s involved which should help you. Check it out here: Start Planning Your Inbound Marketing Strategy. One trap people regularly fall into at in-house marketing roles is being spread too thin. It can really hold you back. Being responsible for everything is hard work, it’s even harder trying to be an expert in everything too. From my time as an in-house marketer, I got the best results and made the fastest progress (personally, as well as for the business) by hiring talented experts or bringing in external partners. When hiring experts in-house I found it a challenge to get people in each skill set, but give them enough work every day to be worth the money. It’s a tricky balance because of the huge range of skill sets needed to do effective inbound marketing (SEO, PPC, writing, design, development, social media, emailing marketing, etc). We wrote a blog about this exact challenge, in-house vs agency, which should help you decide which route is best for you: Which Is Best For Inbound: Agency vs In-House Marketing. So, if you'd like to check out a little more in-depth information about inbound marketing, check out the introductory guide book below. Or if you're confident enough to start planning your own inbound campaigns and want to use the same tools and templates that we do here at our agency, grab a free starter pack, a little further down.